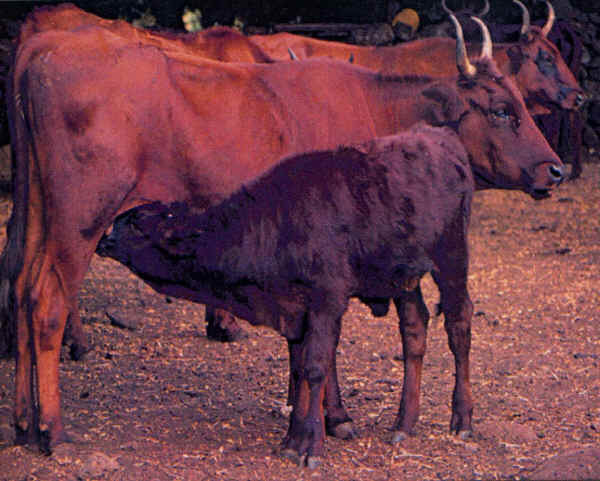 It is bred in the provinces of Cagliari and Oristano; it is the result of a cross on a Modicana instead of a Sarda: A few thousands heads are registered. The colour of the coat is wine red with some black areas (the ridge of the ears, around the eyes) up to complete black; darker shades in males. Medium size horns, which are bent first sideway then high up, with a dark tip. It is mainly apt to milk production.